There is so much to do in Boyne City! This vibrant, year 'round community of nearly 3,500 residents has fabulous shopping, dining, and outdoor activities. 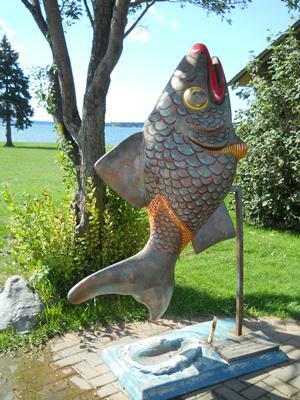 Situated on Lake Charlevoix, this beautiful small town has something for everyone in all four seasons. *A busy downtown business district complete with great restaurants and shopping. *SOBO--South Boyne, a booming art district. *Lake Charlevoix and the Boyne City marina with great boating, swimming, sailing, and fishing. *Young State Park with hiking, camping, and year 'round activities. *Avalanche Mountain with skiing, sledding and skating. *The Morel Festival, an amazing celebration in May of the morel mushroom. *Stroll the Streets, a summer long celebration of music that fills the streets on Friday nights. *The Farmers Market, a bustling place on Saturdays filled with local foods and crafts. *A library, history museum, and Raven Hill Discovery Center. *Festivals in July, August, September and October.